Well, how do you welcome an Alien? And who or what is your Alien? The Aliens might be an invasive species, but what does this mean? Could a new road or climate change be an invasive species? What about tourists? Or money? Or the market price of one cubic meter of snow? Is the dung beetle who ate your broccoli – or the broccoli itself – invasive? Are these invasive species our allies? We have to find out what their landing means for the present future! What can the Aliens expect? A symposium together with trees and ruins, in the middle of the landing zone. A joint venture to incubate ourselves together with the Aliens. 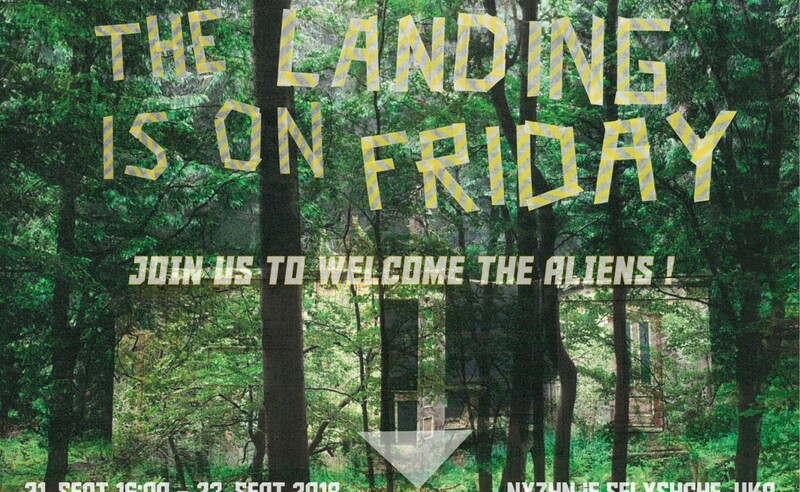 Planting a forest of experiments on speculative ecology with art, talks, workshops, music, theatre, food, interventions, beverages, … We call for ideas – everything that feels welcoming and helps to find out more about the Aliens. The landing zone is around Nyzhnje Selyshche, Ukraine. More specific information to be announced.